Entries close 31st May 2018. Entry forms are on KUSA website or contact us. 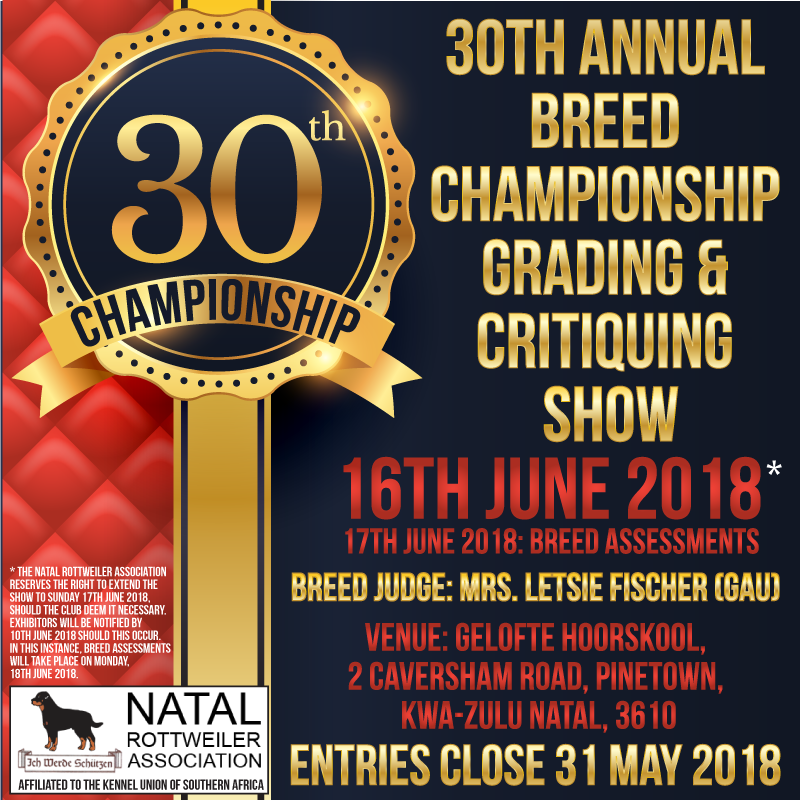 Come and join us on the 16th June 2018* for our 30th Annual Breed Championship Grading & Critiquing Show. Venue: Gelofte Hoorskool, 2 Caversham Road, Pinetown, KZN. * The Natal Rottweiler Association reserves the right to extend the show to Sunday 17th June 2018, should the Club deem it necessary. Exhibitors will be notified by 10th June 2018 should this occur. In this instance, Breed Assessments will take place on Monday, 18th June 2018. ⟵Canine Good Citizen – Congratulations!